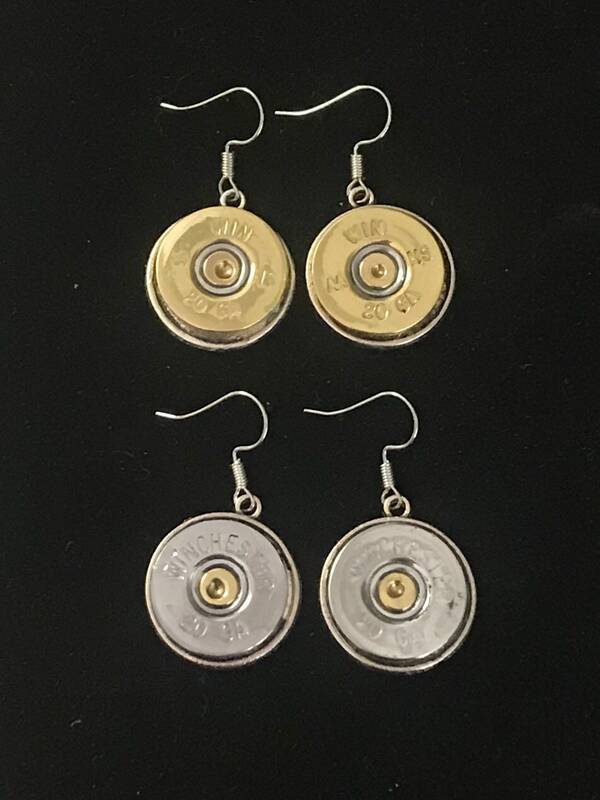 Highly polished 20 gauge shotgun shells converted into dangle earrings. Available in brass or silver. Crystals can be added to the center of the primer by sending a note in the message to seller section. Please specify color of crystal or birthday month.